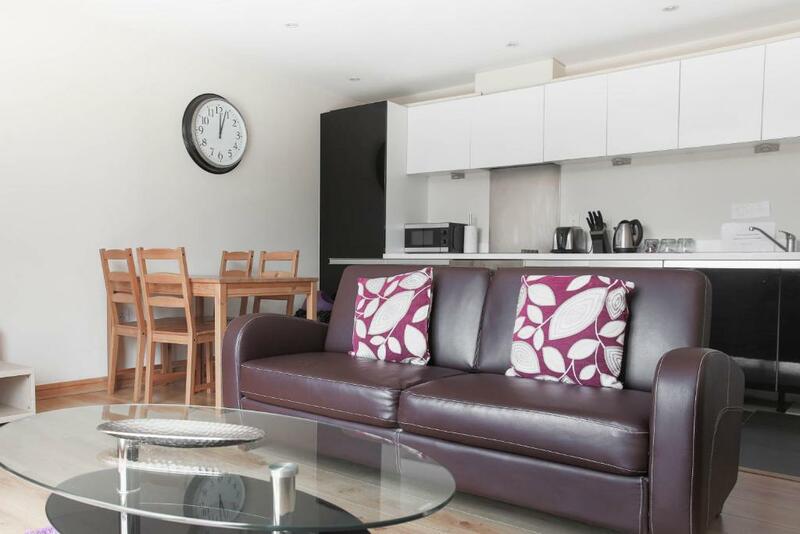 Large apartment with excellent wifi and television. Location was ideal for us:friary bus station,restaurants and shopping. Somewhat larger than expected. Ample storage space. Well-equipped. Small balcony but still nice to have. More space and better value for money than a hotel despite having fewer amenities. Location was perfect for what we wanted. Staff who met us and the lady in the office were very friendly and helpful. The apartment was gorgeous! Host was very nice. Location was perfect! New build, nice and clean. Nicely decorated Excellent location! Very friendly stuff! The place was clean and central. The host who showed us the apartment was friendly and helpful. Lock in a great price for Flexi-Lets@The Bars Development Guildford – rated 8.4 by recent guests! Flexi-Lets@The Bars Development Guildford This rating is a reflection of how the property compares to the industry standard when it comes to price, facilities and services available. It's based on a self-evaluation by the property. Use this rating to help choose your stay! 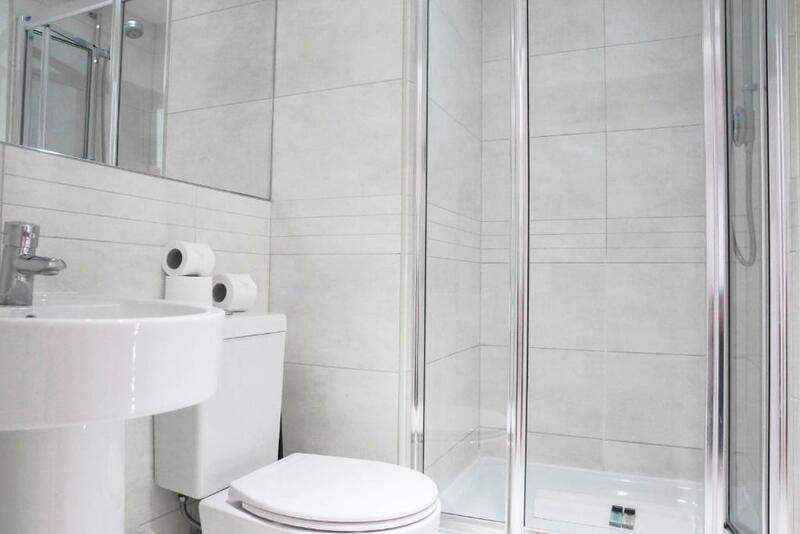 One of our top picks in Guildford.These 1, 2 and 3 bedroom serviced apartments at The Bars Development are located across several buildings on The Bar or Martyr Road in Guildford town center. Secure underground parking is available for a surcharge and needs to be booked in advance. The apartments at Flexi-Lets@The Bars Development Guildford are a short walk to all the shops, bars and restaurants of the town center. The apartments are located in either Sandfield Court, Haydon Place, The Printing House Square or, Chertsey Court, and they all have spacious living rooms with dining areas, flat-screen TVs, DVD players, mini stereo systems and iPod docks. 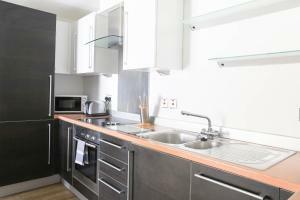 The modern kitchens have toasters, kettles, microwaves, fridge/freezers, ovens and hobs. When would you like to stay at Flexi-Lets@The Bars Development Guildford? The apartment has a large double bed with soft Egyptian cotton and free Wi-Fi. Weekly housekeeping is provided for longer stays. This apartment has a sofa, kitchen and microwave. 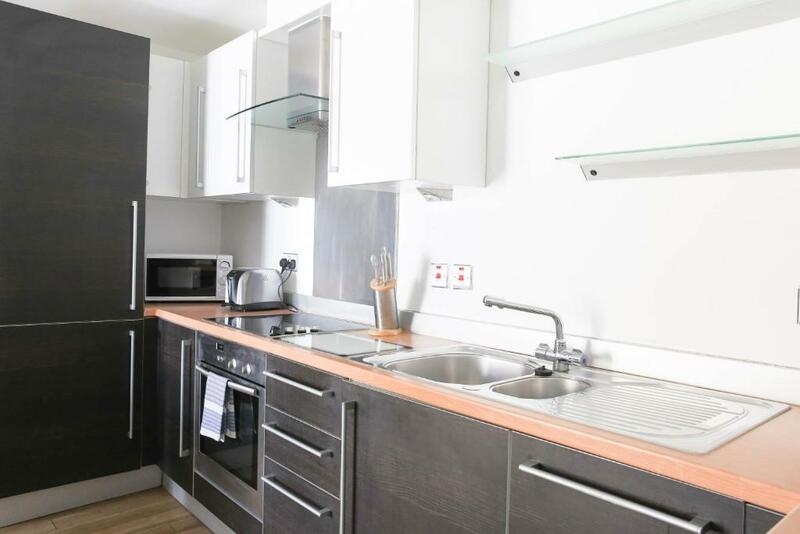 This apartment features a electric kettle, washing machine and DVD player. 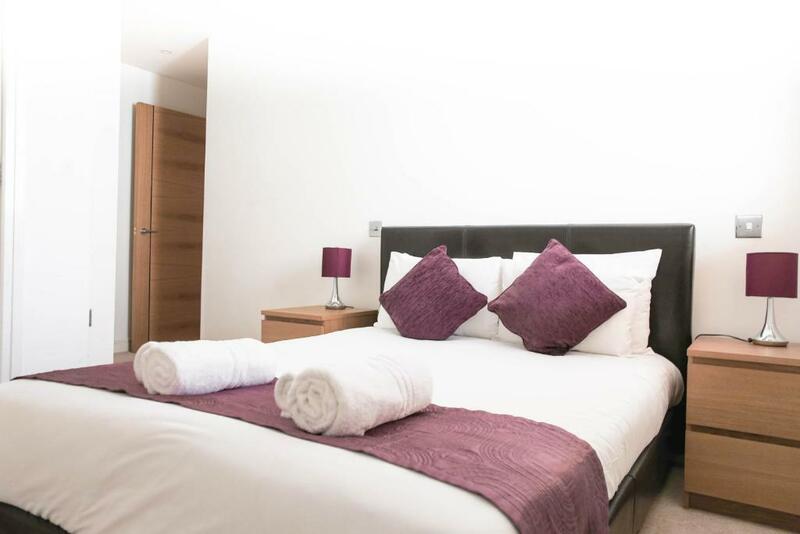 This twin room features a tumble dryer, dishwasher and DVD player. At Flexi-Lets we offer first class executive accommodation from 1 night to 1 year, and anything in between. Our standard of service and accommodation is second to none and we truly understand the needs of people working and living away from home. We can accommodate individuals or indeed teams wishing to stay in an area for a short or long period. 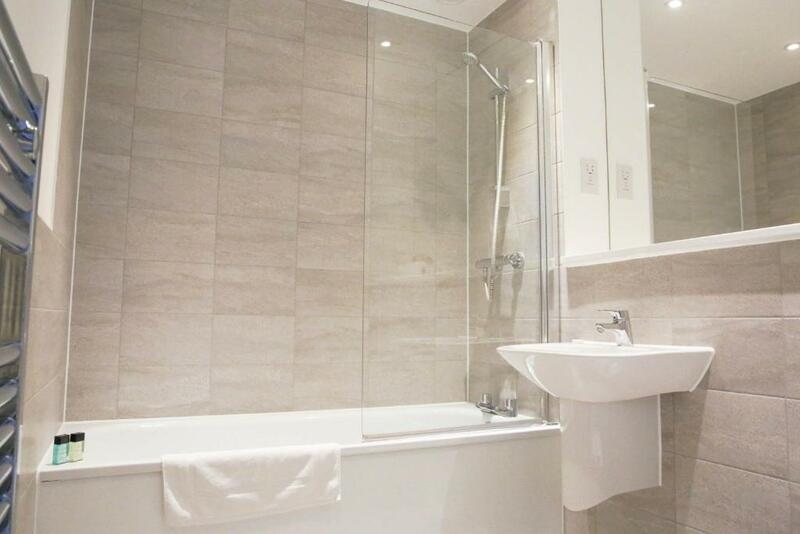 Our team has over 50 years combined experience in the serviced apartment business. 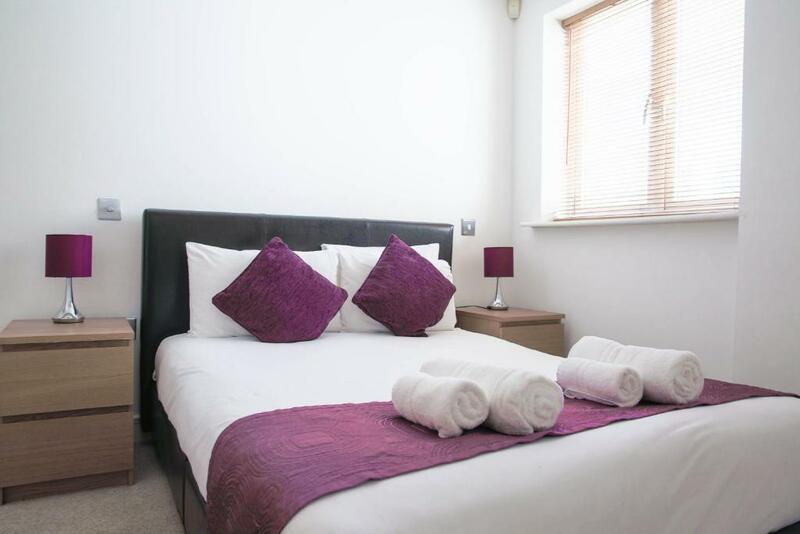 Our main aim is to make your stay as stress free and easy. House Rules Flexi-Lets@The Bars Development Guildford takes special requests – add in the next step! All children under 2 years are charged GBP 18 per night in a crib. Flexi-Lets@The Bars Development Guildford accepts these cards and reserves the right to temporarily hold an amount prior to arrival. Guests must contact the property at least 45 minutes before arrival in order to meet a member of the check-in team. These apartments have no reception desk. Please inform Flexi-Lets@The Bars Development Guildford of your expected arrival time in advance. You can use the Special Requests box when booking, or contact the property directly using the contact details in your confirmation. A distinct smell of curry in the kitchen/living area. Could have been aired/freshened before arrival. Larger than we expected, which was nice. Very convenient for town centre. Great location, very spacious and clean with easy check in! Fantastic experience from start to finish. Great Team, always able to answer all questions, Dan was extremely helpful when meeting and flats all spacious and clean. I forgot the instruction to give 45 mins notice of arrival which is not the fault of the owners, but was inconvenient. Perhaps this needs to be emphasised as a necessity, not as a request. I am extremely satisfied with this accommodation!! It's the best place I have ever been! 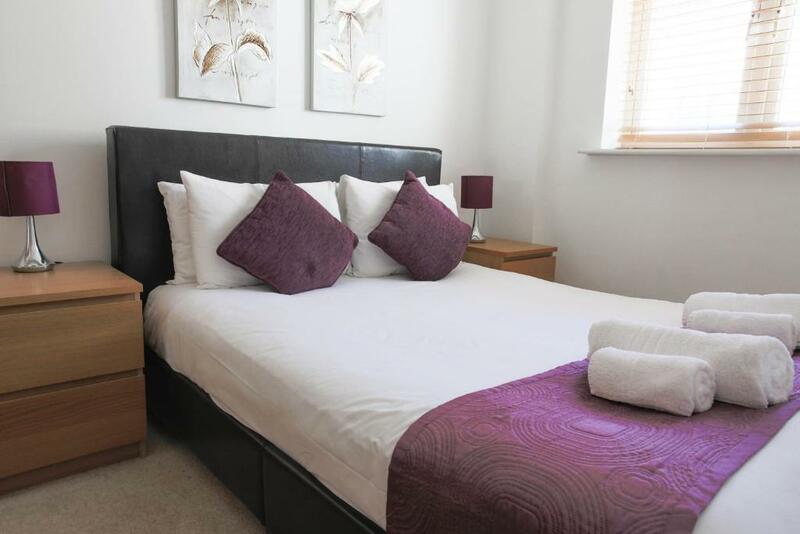 It's location is perfect, just 10 minutes walking from Guildford city centre. Very close to all local amenities (bus station, railway station, shopping mall). It was clean and the staff was friendly. It's suitable for short term or long term booking. I would definitely recommend it !!! Spotless and very well equipped. Location was great and check in was fab. The Flexilet staff were very responsive and helpful. Minor quibbles: the key pick meeting point could have been better specified. For leaving the apartment the instruction was to leave the key in the post box, but the fob won't fit into the postbox! 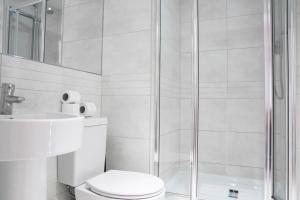 Great apartment (modern and new decor, good facilities and lovely bright corner setting). Great location for centre of Guildford also. Parking in garage in under the building, a real bonus! Great location for a college reunion. The location is fab near the high street and Waitrose is right across the street so you can grab the essentials. The apartment was very spacious for four people with lovely living room/dining room/ kitchen area. Easy to park on the road and with the allocated parking bay. 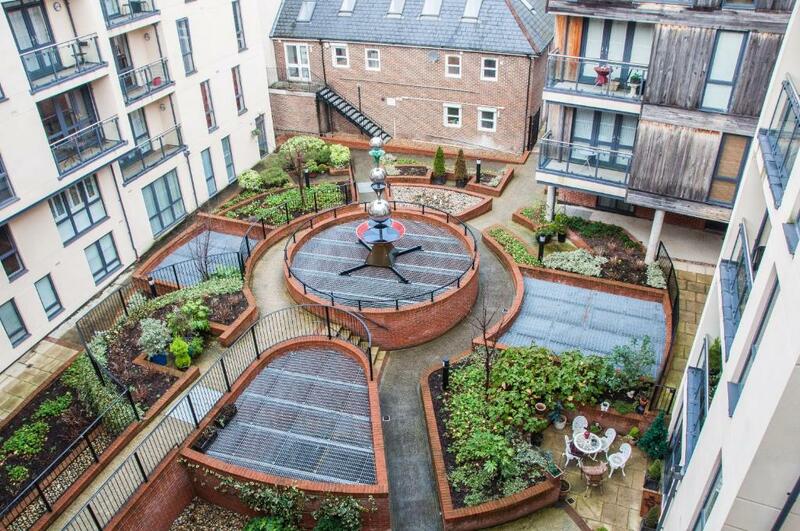 Great modern unit very close to town centre. Very small lodgings. Pigeon poop all over the balcony. Lights went off twice while I was there.